This drop dead gorgeous Unique arrangement will transport anyone to that special happy place. 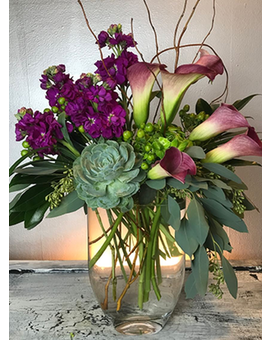 This get away arrangement has exotic Mini Calla Lillies,, The popular Succulents, Deep purple Stock and berries and foliages. Oh take me Home!